Watercolour pencils and Japanese Kita-Boshi pencil. 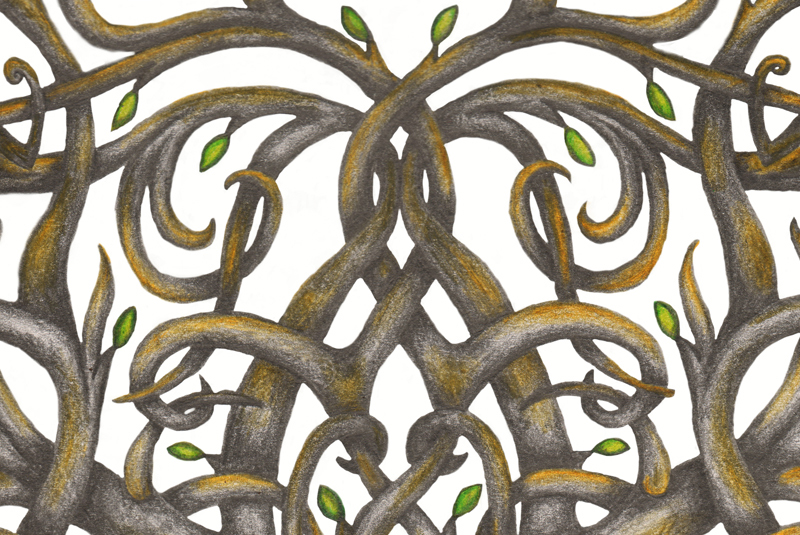 This commissioned Tattoo design was based on the Nordic interpretation of the Tree of Life, known as the Yggdrasil. 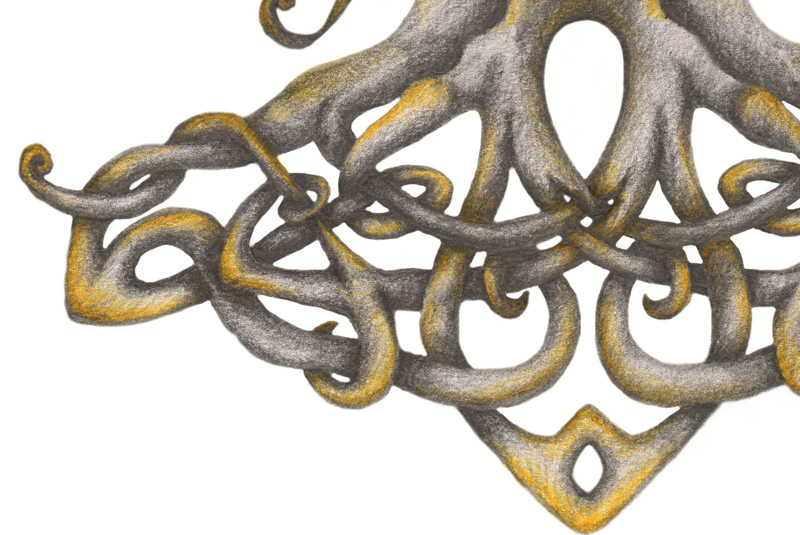 In Nordic mythology the tree sits at the centre of all the different worlds but the commissioner preferred the focus to be on the intricacy of the roots and branches. 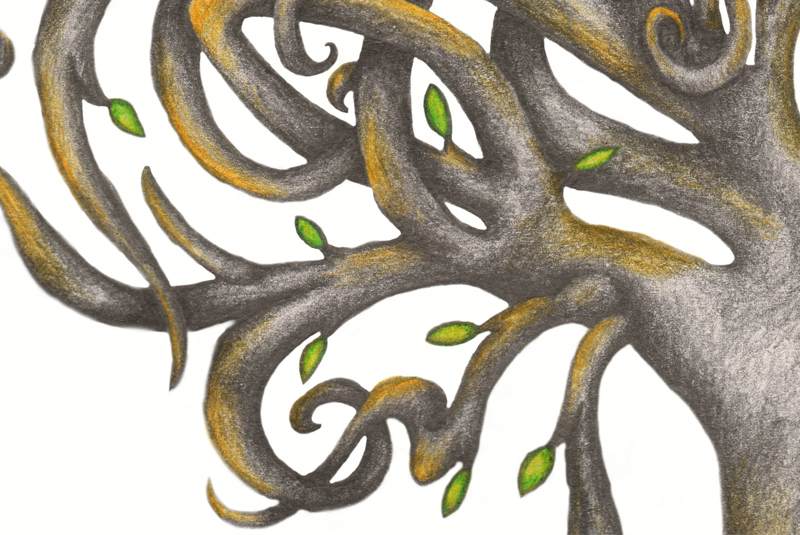 The design represents the many paths in life and how all of those paths are connected together in some way or another. 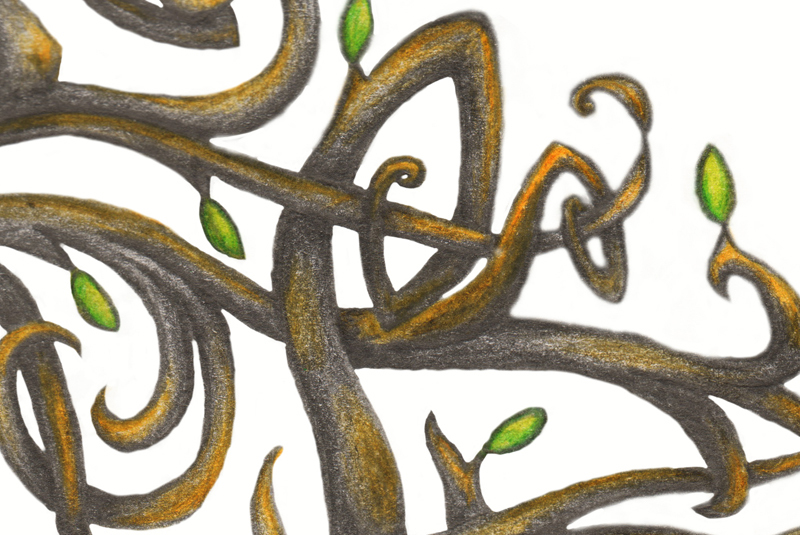 The leaves add the presence of life without being too dominant in the illustration. 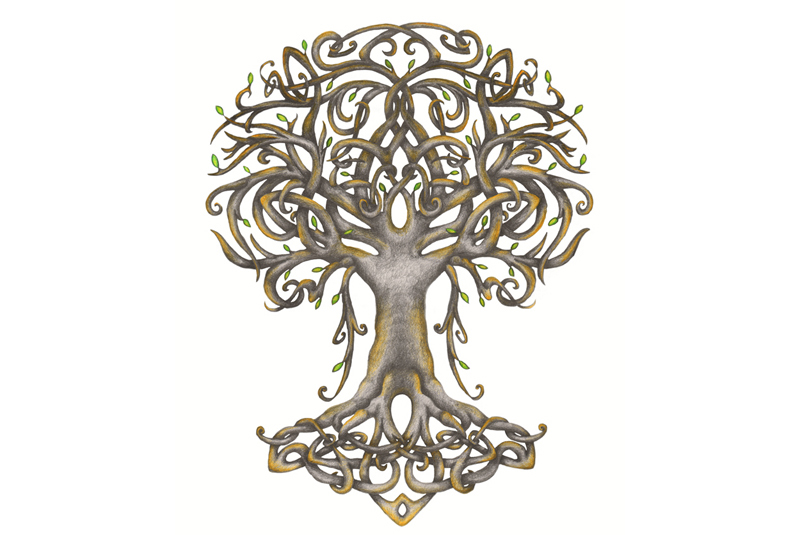 The tree is designed to run from the base of the neck down to the midriff. Copyright: Robin van de Put. Reproduction and further posting on the internet is strictly prohibited.